Impulse buying always seems fun when you’re doing it. You see something you like, you buy it, and you get that little thrill that comes along with getting something you didn’t have before. However, impulse buying can be a big problem for some people. It's really easy to get caught up in an impulse purchase and suffer consequences later because of it. Whether it’s due to an obsessive compulsive disorder, emotional issues, or just a lack of discipline, impulsive buying can have a huge effect on your financial situation and your relationships. I’ve even seen impulsive spending ruin marriages and families (more about that below) when it’s not brought under control. 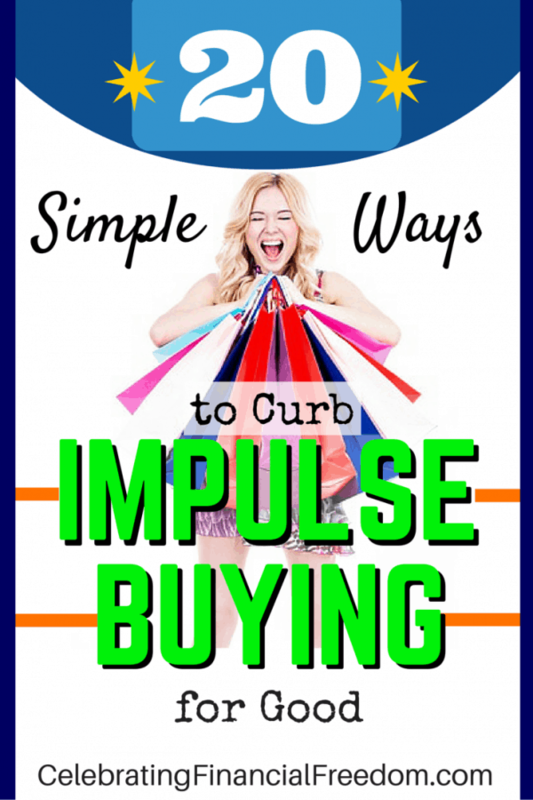 In this article I'll show you 20 simple tips you can use to curb impulse buying for good. Let’s face it, no matter where you go there are always temptations to buy something. 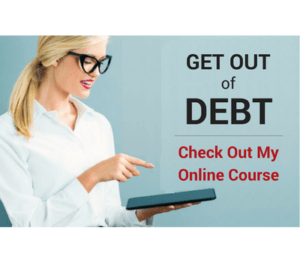 We are exposed to over 3,000 marketing messages every day urging us to spend, and almost no one telling us to exercise control a little self-control over our spending. Even staying at home and sitting on the couch can be dangerous for impulse spending if you have a TV or a computer in front of you. So what can you do to get control of impulse buying and keep your financial situation in good shape? 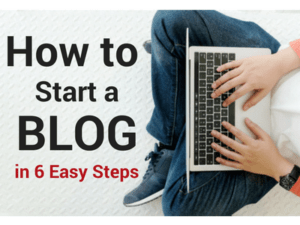 Here are some great tips that can help get you on the right track. I’ve always been a big fan of using a shopping list. Think about what you need before you go shopping and write it down. Commit yourself to sticking only to your list to keep yourself from being tempted into making impulse purchases. When you make a written commitment to yourself before you shop, you can eliminate impulse buying and save tons of money when shopping. A marketer’s job is to get you to buy their product. Most of them do a great job at it. Good marketing is meant to entice you into making a purchase without you even realizing you’ve been marketed to. They know how to use any number of psychological triggers to encourage impulse buying, causing you to purchase things you don’t need with money you don’t have to impress people you don’t like. Learn to recognize clever marketing and resist it at all costs. Here’s a post I recently did that exposes some of their secrets. Using cash when you’re shopping is key. Just like committing yourself to a list of what you need, using cash helps you keep control of impulse spending by limiting your options. When using cash, you can only spend so much before you run out. You're forced to consider your purchases more closely. Using credit cards is so seamless that it’s easy to impulsively spend more than you intended and blow your budget out of the water. It’s easy to get caught up in the emotional aspects of shopping that can cause you to impulse buy. Just because there’s a massive sale doesn’t mean you have to buy anything. Just because your girlfriend says you look cute in that dress doesn’t mean you need it. Marketers are masters at getting to the emotional side of your brain. Use the rational side of your brain, resist the emotions, and impulse buying will be less likely to rear its ugly head. Leave a comment about this post on Facebook! Surely you didn’t think I’d leave this one out! 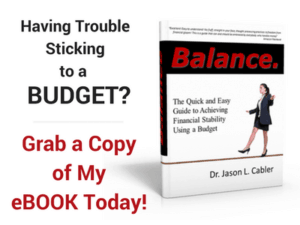 Doing a written budget every month goes a long way toward eliminating impulse buying. When you have a plan for your money and only spend what you have instead of using credit, it’s much easier to keep yourself under control. Another way to avoid impulse buying is to clean out your closets. Before you get rid of that stuff, take an inventory of all the things you don’t need or never used. I would bet many of those useless items were impulse buys that seemed like a good idea at the time, but never got used like you thought they would. Cleaning your closets will simplify your life by eliminating needless clutter that has built up over the years. Every time you think about buying something you didn’t plan for, think about your closet cleaning episode and evaluate whether this item will eventually end up in the closet too. Buying stuff when you’re depressed or upset can make you feel good temporarily, but ultimately it doesn’t solve the problem. Shopping therapy is a dangerous myth that can get you into big trouble financially if you have frequent emotional problems. In fact, it can even make your emotional problems worse if you get deep into debt because of your emotional impulse buying. Never go shopping when you’re depressed, upset, or emotionally out of sorts. Shopping when your emotional state is not so good can be a recipe for financial disaster. Going shopping with friends who are free spenders or have more wealth than you can be a problem as well. It’s natural to want to fit in with friends, so giving in to peer pressure and feeling the need to keep up with others can be a problem. Don’t let pressure from others or yourself force you into making an impulse purchase on something you know you shouldn’t be spending money on. If they won’t be your friend because you don’t spend money when you’re with them, then you probably need new friends. Amazon.com has a nifty “1 Click Shopping” button that allows you to buy what you like with only 1 click. Of course, this makes it really easy to mindlessly spend without any barriers standing in your way. Remember, the easier a retailer makes it for you to spend, the more people tend to impulsively buy stuff they may or may not need. If you get packages arriving at your door from online purchases and you don’t remember what it was for, you may have a problem with impulse spending. This is one of my favorites that I practice religiously. Always have a list of things you plan on buying in the near future. If you see an item you become intrigued with and just have to have it, refer back to your list. If it ain’t on the list then don’t buy it! Impulse buying is something you do when you’re not really thinking. Referring to your list is a good way to engage your brain and realize that other things are a priority. Window shopping can be dangerous for some people. Many do it when they are bored or have nothing else to do. It’s another mindless activity that doesn’t engage the brain and makes you more susceptible to impulse buying. Whether its online or at the store, be careful about aimlessly wandering around in a retail setting. If you’re bored, find an alternate activity that’s a much better use of your time, like reading, walking, or something productive for work or around the house. Before you buy anything, ask yourself a few useful questions to help you evaluate the purchase and why you’re making it. Is buying this item going to improve your life in some way? Does it help you meet any of your life goals? Will it do anything to simplify your life? Be honest with yourself and don’t try to convince yourself you need something you really don’t. It’s easy to make an impulse buy when it’s something small. You tell yourself “it’s only five dollars, no big deal”. But when you habitually purchase small things that are “no big deal” they add up to several hundred dollars a month. That several hundred dollars every single month could go toward other useful things that will enhance your life much more than a simple trinket or fancy cup of coffee. When you have goals for your life, especially financial goals, you are more focused and less likely to make impulse purchases. Know what you want to do with your money and what milestones you want to meet. Every time you’re tempted to make an impulse buy, ask yourself if this will take away from the financial goals you’ve set for yourself. Before you buy something, wait a specific amount of time before you actually make the purchase. You might need 2-3 days, or even a week. Having a waiting period before making a purchase allows you to leave your emotions behind and think rationally about a purchase. I think this is one of the best techniques you can use to eliminate impulse spending. If you’re about to make an impulse buy that you think you will need to hide from your spouse or another loved one, then you don’t need to buy it. If you’re hiding purchases then it can be seriously damaging to your relationship. Hiding purchases is a prime indicator that you know you’re doing something you know is wrong. This is a great tip from my friend Lauren at Iamthatlady.com. Companies send out a lot of emails advertising sales and one time deals when you sign up for their email list. Every time you get one of those promotional emails, unsubscribe from the list. That way you won’t be tempted with all the constant ads coming to your inbox, potentially causing you to impulse spend. Plus you’ll have less overall emails coming in to keep up with. A clean inbox is always a good thing! I’ve known more than one person who actually bought a car without talking to their spouse first. They had no plans to buy one, had no discussion about it, and didn’t need one. They just decided on a whim to go buy a car. None of those couples are married anymore. The point is, when you’re married it’s up to both of you to agree on financial decisions, especially the major ones. If impulse buying is affecting your relationships, you should step back and take a long hard look at your destructive behavior. It’s a sign you may need professional help. Here’s an article with some helpful resources if this describes you. Sometimes when you see something you want you may go back and forth about whether or not you should buy it. If that’s the case then you shouldn’t buy it. Many times that’s your gut telling you that you don’t really need it. Worst case scenario, you come back later and make the purchase once you have time to decide if this is something you really need or want to spend your money on. When it comes down to it, impulse buying is usually an emotional affair. The more you can remove feelings from the buying process, the better off you’ll be. However, advertisers want you to do just the opposite. The more they can get you emotionally involved in a purchase, the better it is for them. If you want to curb impulse buying, you have to use your brain, not your feelings. If you notice that impulse spending is affecting your life to the point that it’s hurting your relationships or your finances, it may be time to get some professional help. Do a Google search for a professional therapist in your area that specializes in compulsive shopping and give them a call. You can also talk to your pastor or other counseling professional to help you beat impulse buying for good. Question: Have you ever made an impulse purchase that you regretted later? Leave a comment and tell me about it on Facebook or in the comments below. 20 Simple Ways to Curb Impulse Buying for Good. Impulse shopping can ruin finances, relationships, and emotional health. How to stop impulse buying.